Umbrella Insurance Colorado. Does you business need an umbrella excess liability policy? Any company in business in today's modern world is subject to claims of wrongdoing and/or negligence. With an CO umbrella insurance policy in place, the fallout from these types of lawsuit is minimized and mitigated. 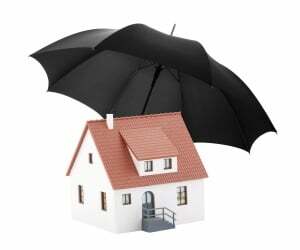 Umbrella insurance Colorado is excess liability that protects your business from lawsuits with rates as low as $57/mo. Get a fast quote and your certificate of insurance now. Now more than any time in history, people are more than glad to lodge a complaint against a business, even if the complaint has little or even no merit. When an individual feels wronged or jilted in some way, the first thing that comes to mind is to make the company offending them pay. Many people see a business as having deep pockets, even if the business is small and doesn't have a lot of revenue. With business umbrella insurance Colorado, your business edeoys a heightened level of protection from such claims, and should your business find itself paying an exorbitant amount in a claim, this insurance can be invaluable. A commercial agent working with experiencing writing business policies is a go-to source for getting the right umbrella insurance Colorado policy. An agent with experience can be helpful in recognizing the risks that your business faces and helping you to find the right level of protection to put a shield between you and potential litigants. These are real world examples of accidents that have occurred and been adjudicated in a court of law. It is impossible to know in advance if an event will occur, which is why an umbrella insurance Colorado policy makes sense. The policy kicks in to pay any excess liability not covered by your standard business insurance policy. Request a free Umbrella Insurance Colorado quote in Akron, Alamosa, Arvada, Aspen, Ault, Aurora, Avon, Basalt, Bayfield, Bennett, Berthoud, Boulder, Breckenridge, Brighton, Broomfield, Brush, Buena Vista, Burlington, Carbondale, Castle Pines North, Castle Rock, Cañon City, Cedaredge, Centennial, Center, Cherry Hills Village, Colorado Springs, Columbine Valley, Commerce City, Cortez, Craig, Crested Butte, Cripple Creek, Dacono, Del Norte, Delta, Denver, Durango, Eagle, Eaton, Edgewater, Elizabeth, Englewood, Erie, Estes Park, Evans, Federal Heights, Firestone, Florence, Fort Collins, Fort Lupton, Fort Morgan, Fountain, Fowler, Fraser, Frederick, Frisco, Fruita, Georgetown, Gilcrest, Glendale, Glenwood Springs, Golden, Granby, Grand Junction, Greeley, Greenwood Village, Gunnison, Gypsum, Hayden, Holyoke, Hudson, Idaho Springs, Johnstown, Julesburg, Keenesburg, Kersey, Kremmling, La Junta, La Salle, Lafayette, Lakewood, Lamar, Las Animas, Leadville, Limon, Littleton, Lochbuie, Lone Tree, Longmont, Louisville, Loveland, Lyons, Mancos, Manitou Springs, Mead, Meeker, Milliken, Minturn, Monte Vista, Montrose, Monument, Mountain Village, Nederland, New Castle, Northglenn, Olathe, Orchard City, Ordway, Ouray, Pagosa Springs, Palisade, Palmer Lake, Paonia, Parachute, Parker, Platteville, Pueblo, Rangely, Rifle, Rocky Ford, Salida, Severance, Sheridan, Silt, Silverthorne, Snowmass Village, Springfield, Steamboat Springs, Sterling, Superior, Telluride, Thornton, Trinidad, Vail, Walsenburg, Wellington, Westminster, Wheat Ridge, Windsor, Woodland Park, Wray, Yuma and all other cities in CO - The Centennial State.